Manchester United versus Bournemouth sees the Red Devils with no chance of sneaking into fourth place and gaining a spot in next season's UEFA Champions League. This match was scheduled on Sunday but cancelled due to a terrorism alarm. 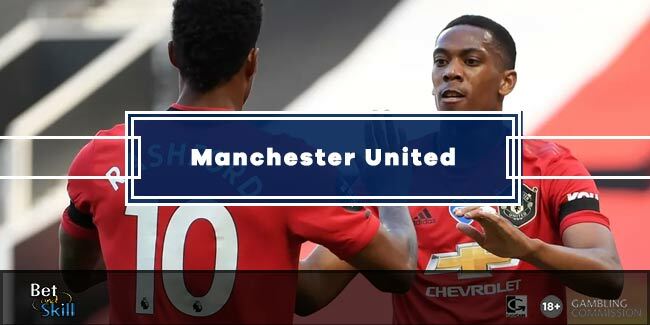 Don't miss our MANCHESTER UTD v BOURNEMOUTH betting preview with predictions, betting tips, enhanced odds, probable lineups and no deposit free bets on the Premier League final match day! Man UTD were narrowly beaten 3-2 at West Ham on Tuesday night, a result that was prefaced by three wins and a draw in the Premier League. Their hopes of finishing in the top four are over after Manchester City drew 1-1 with Swansea on Saturday. They are now playing to recapture fifth following Southampton's 4-1 win over Crystal Palace. Louis van Gaal's men have only lost twice at home all season and have kept five clean sheets in their last seven in the league at Old Trafford, winning six. With an FA Cup final on Saturday, Louis van Gaal may tinker with the side that was originally set to play as they can no longer finish fourth. The Red Devils will be without the suspended Marouane Fellaini while Luke Shaw will not feature until next season. Furthermore, Adnan Januzaj would miss out after picking up an injury in training, while the match will also come too soon for Matteo Darmian and Ashley Young. Memphis Depay, Ander Herrera and Marcus Rashford appear likely starters in attacking areas, with Lingard and Juan Mata perhaps taking the other spots in midfield in the 4-1-4-1 formation favoured by the Dutchman over recent weeks. Bournemouth were held to a 1-1 draw at home against West Brom last weekend, and although that result kept them comfortable in 16th in the league standings, it also leaves the Cherries winless in four consecutive league fixtures (D1-L3). They have been in freefall in the last few months after securing their Premier League status. They have lost five of their last seven matches and their only win in that time came against Aston Villa. Anyway, Bournemouth have collected 22 points on the road, which is just three fewer than Man United have managed on their travels. Eddie Howe can name his strongest side for the trip to Old Trafford. Harry Arter and Andrew Surman look set to continue in central midfield. The back four of Simon Francis, Tommy Elphick, Steve Cook and Charlie Daniels is also likely to stay unchanged. Up front Joshua King may start behind lone striker Callum Wilson in the 4-4-1-1 formation favoured by Howe in recent weeks, with Matt Ritchie and Max Gradel perhaps starting out on the flanks. Tyrone Mings, Sylvain Distin and Adam Smith remain out through injury. Price boost! Get 10/1 Manchester UTD to win + £100 bonus! Enhanced price: 5/1 Man UTD to beat Bournemouth! "Manchester UTD v Bournemouth predictions, betting tips, lineups and odds (Premier League - 17.5.2016)"